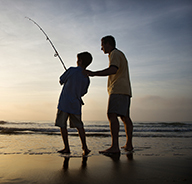 The RFA is the peak representative body for recreational fishers in NSW. The 8 Rs summarise the strategic changes we think are needed to revitalise sustainable recreational fishing in NSW. We represent the interests of anglers in the management of the State’s recreational fisheries, promote sustainable fishing practices, encourage the participation of children, help secure rights to fishing access, encourage recreational anglers to become involved in the well-being of the fishery, promote consultation and communication between government and anglers and promote fishing safety. . The RFA of NSW is a not-for-profit, volunteer organisation supported by recreational fishing clubs, associations and individual anglers. Our members are Australian National Sportfishing Association (NSW Branch), Australian Underwater Federation, Canberra Fishing Club, Central Coast Association of Angling Clubs, Club Narooma Bowlo Fishing Club, New South Wales Council of Freshwater Anglers, New South Wales Fishing Clubs Association, New South Wales Underwater Skindivers and Fishermen’s Association, Professional Fishing Instructors and Guides Association and South West Anglers Association.